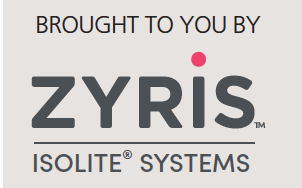 The new Isolite 3 system from Zyris allows clinicians to quickly and easily implement a standard protocol for consistent outcomes in procedures that require isolation and moisture control. Building upon the popularity of earlier versions, Isolite 3 introduces the first-ever amber light integrated into a dental isolation system. This cure-safe lighting option prevents the polymerization of light-cured, resin-based composites, while providing optimal illumination of the oral cavity. 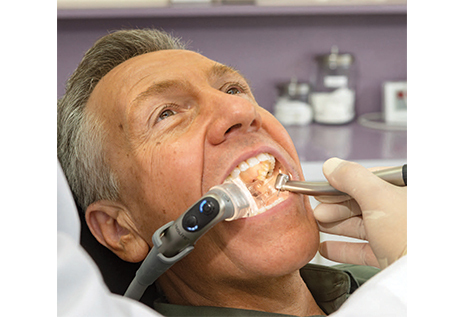 Whether choosing the new, cure-safe amber light or traditional white light, clinicians can select from three intensity levels to provide ideal intraoral illumination. The new hose design integrates the control head with the evacuation line into a robust and nondetachable unit that is easy to clean and disinfect. Engineered to improve office efficiency, the system includes a cleaning tip attachment for direct-to-canister or chair cleaning systems. The Isolite 3 also incorporates Liquidmetal into the product design, making the device lighter, yet stronger than previous versions. Also new is the integration of light management technology that utilizes multiple sensors to dynamically manage thermal loads and light output to prevent over heating. For operatories with limited high-volume evacuation ports, the Isolite 3 includes a new intelligent Power Vacuum Base that serves as an adjustable Y-adapter. The Power Vacuum Base can be set to provide suction for the Isolite 3, the Isolite 3 and an accessory, an accessory only, or it can be turned off for cleaning and sterilization. Optionally, the Power Vacuum Base can be connected directly to the power supply in modern dental chairs. 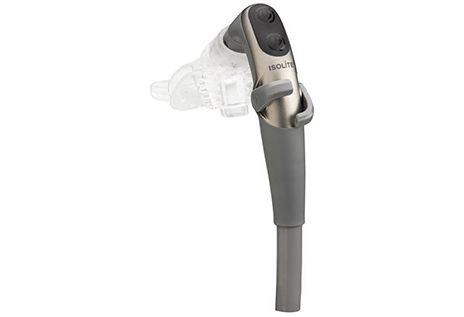 Like the Isolite 2 before it, Isolite 3 uses the award-winning mouthpieces that integrate a dual-channel suction, protection for the cheek, tongue and airway, and an integrated bite-block for patient safety and comfort. Zyris (formerly Isolite Systems) was founded to create positive dental experiences for patients and providers. Thanks to innovative solutions, such as the new Isolite 3 system, dentists, dental assistants and dental hygienists can achieve more predictable outcomes — while improving clinical efficiency, patient safety and comfort — in procedures requiring moisture control and isolation. From Decisions in Dentistry. September 2018;4(9):44.